Step Bak Copywriting offers a range of freelance copywriting services. With more than 15 years' professional writing experience I can create content for webpages, blog posts, brochures, articles and press releases to name a few. 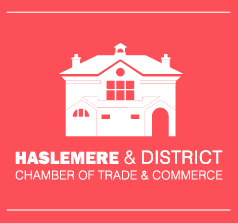 Clients I have worked with include NHS, Barnardo's KPMG, Vodafone, LogMeIn and, of course, the Haslemere Chamber of Trade!